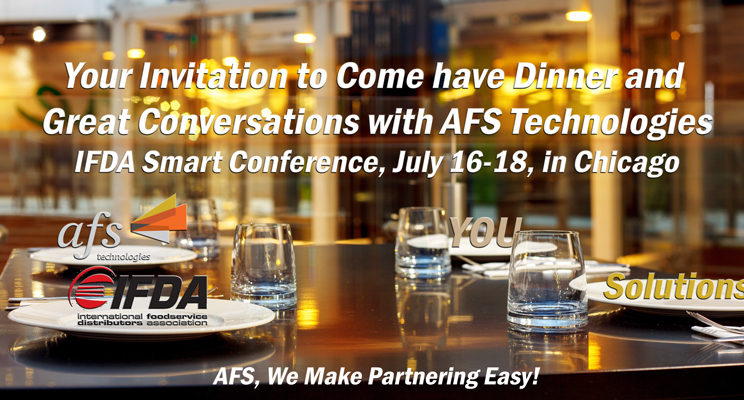 Attending IFDA’s Smart Conference, July 16–18, in Chicago? The agenda has a core focus on leveraging marketing techniques/solutions throughout your sales and B2C channels, this will drive a lot of discussions and you will ask; How does this fit into our own business’ ecosystem? If you would like to extend those event conversations, AFS is hosting a dinner on Monday evening to openly share how our solutions align with your needs. I look forward to meeting many new faces as well as seeing old friends. There is a limited number of spaces available and this is not a transferable offer. Please RSVP no later than Friday, July 13, 2017.